This program is also available for sale as a download. Click here for more information. 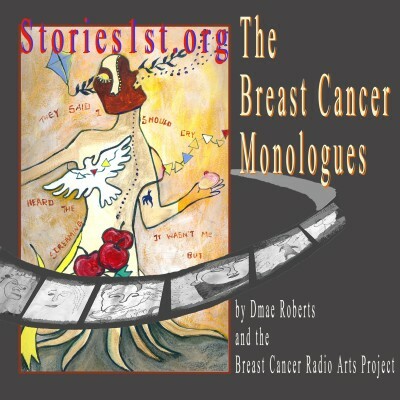 The Breast Cancer Monologues is a one-hour collage of women’s stories produced by Dmae Roberts and the Breast Cancer Radio Arts Project and intricately woven from interviews, readings and dramatizations about how breast cancer has affected the lives of women in America. 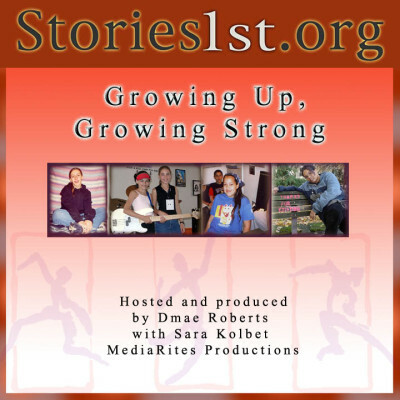 Growing Up, Growing Strong, a one-hour special based on pieces presented on Stories1st.org, features young women with strength and daring. Dmae Roberts, Ping Khaw-Sutherland and Elaine Low presented a series of 40-minute readings from the stage play Lady Buddha at Multnomah County libraries during Asian Heritage month in May 2001.Those who enjoyed the MediaRites production in June 1997 at the Interstate Firehouse Cultural Center featuring stories of Kuan Yin, the Asian Goddess of compassion and mercy now have a chance to see the new version of the play. 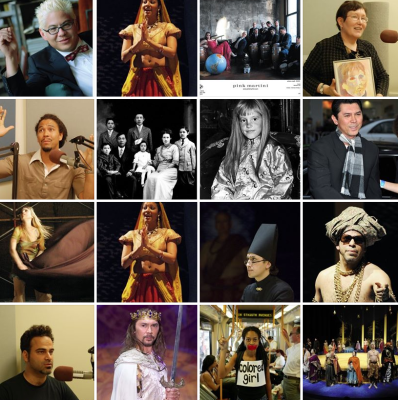 Tell Me, Janie Bigo is an original romantic comedy with magic and music; one of a handful of plays around the country that allows Asian Americans a romantic and comedic side. This fast-paced and energetic play tells the story of Janie Bigo, an Amerasian trying to carve out a life for herself in Portland as leader of a girl group called The Bigos (which means America in Taiwanese), and of her romance with Buck Tanaka, a magician who inadvertantly saves her life when someone tries to kill her. This play was first produced in Seattle at the Northwest Asian American Theatre in 1997 and was rewritten for Portland audiences and produced at the Interstate Firehouse Cultural Center in 1998 under the direction of Carmela Lanza-Weil and featured veteran actress Elaine Low (see photo).